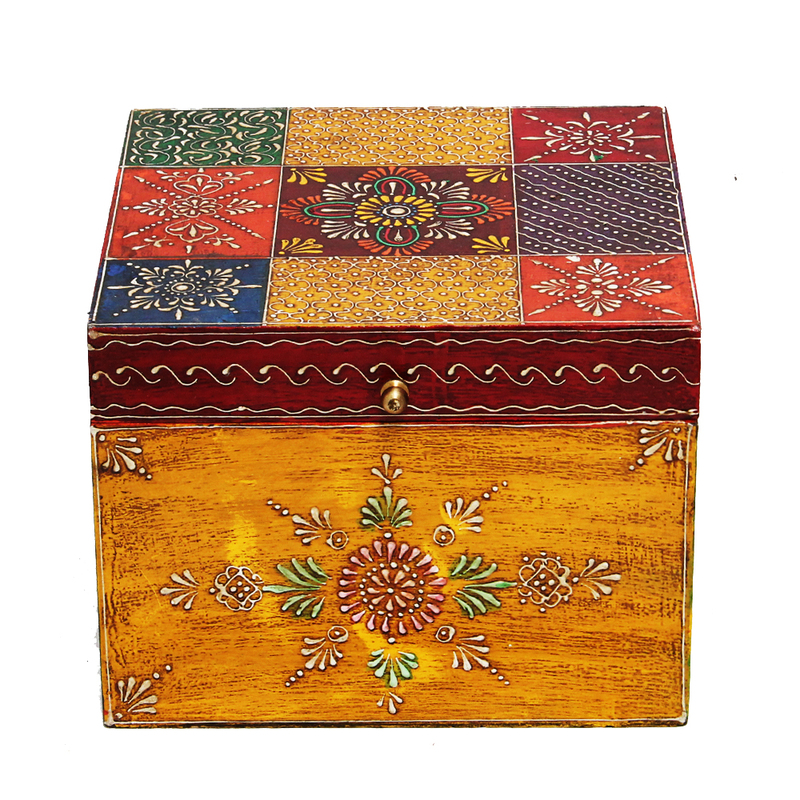 The Handmade Multicolor Embossed Box in Wood is perfect for all those buyers who are looking for even most mundane of everyday items to be Read More..aesthetically superlative. 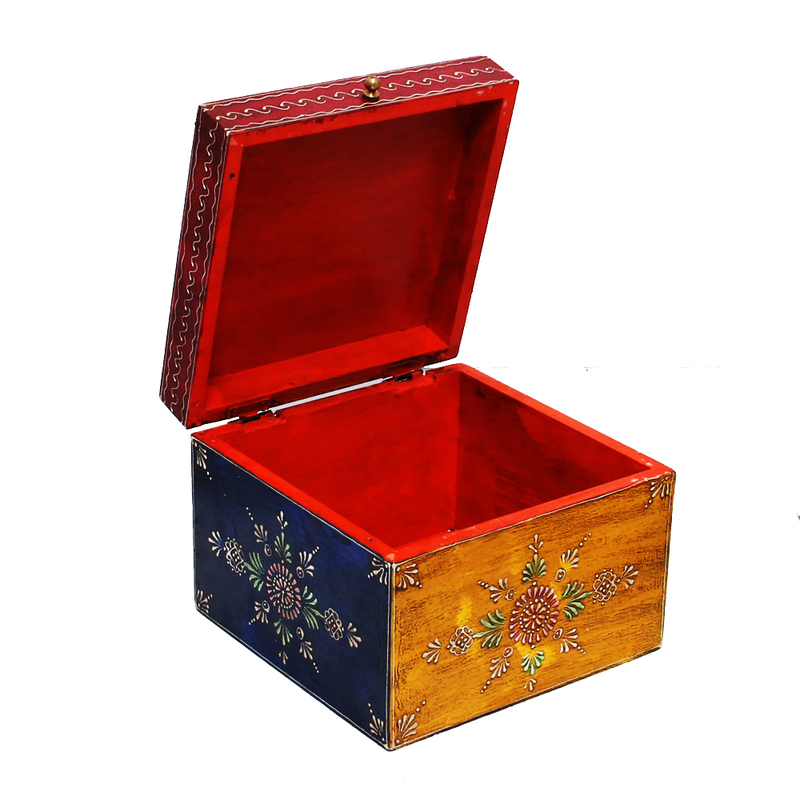 This box, carved from the finest quality wood, is sure to provide a lot of aesthetic splendor with its display of rich embossment present throughout its body. 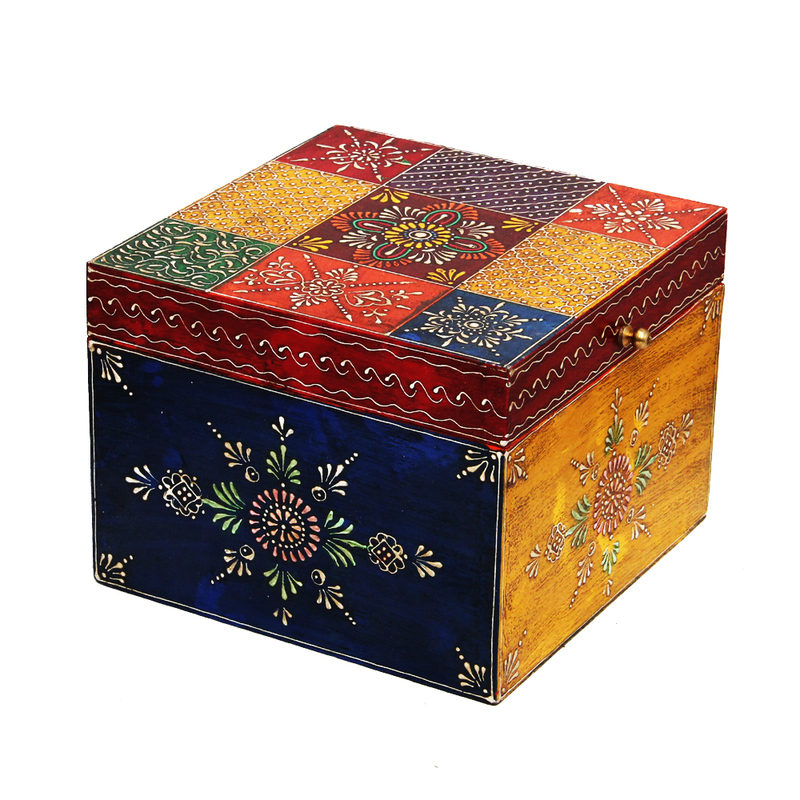 The design work is present in a riot of lively colors to make this box suitable for making any corner of the household it occupies aesthetically pleasing to all the beholders. Show Less..